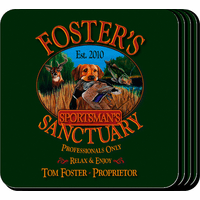 FEATURES/SPECS This waterproof set of four coasters has a unique design that features a holstered old west style gun with the words "Cowboy Up" splashed across the top. 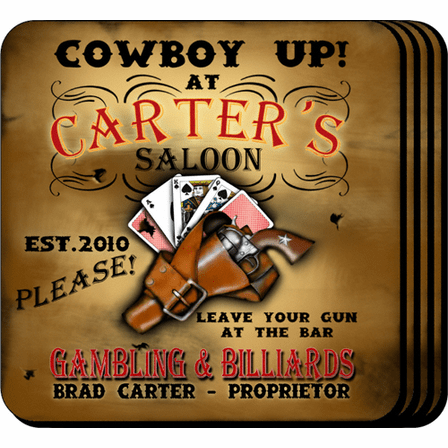 Each coaster also implores all visitors to your gambling and billiards room to leave their guns at the bar. 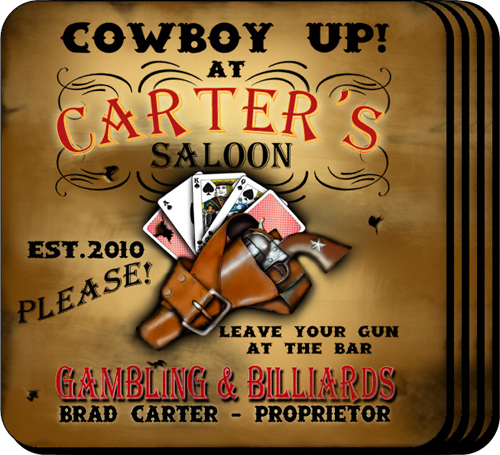 Add your full name to be listed as the owner of your own saloon as well as the proprietor. 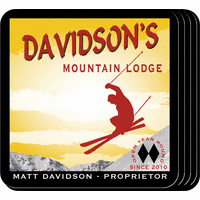 Each coaster has a no skid base to keep your visitor's drinks right where they should be. 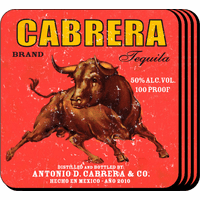 This Cowboy Up set of customized coasters comes with a wood base to house them when not in use. Comes printed with the words "Cowboy Up"